Here is an excerpt from an interview with the brains of Vandelay Design. Meet Steven Snell, a design genius, who has been in the field since 2007. A self made designer, Steven shares about his views on modern design methods and its mash-up with web. Also, find out the secrets of having a successful and financially viable blog. The complete interview has been divided into segments for better imparting a better reading experience to the readers. So sit back and listen to the founder of Vandelay Design. Mohit: Your website’s about page is prepared like a highly efficient, professional e-commerce website which contains everything about your creation and nothing about you. Tell us something about yourself Steven and how did you start? Steven: I got started in web design about 10 or 12 years ago, but I didn't do very much with it for the first few years. I had a basic web design and HTML course in college and that was really where I got started. For the next couple of years after college I experimented on my own and learned a lot by following online tutorials and reading books. 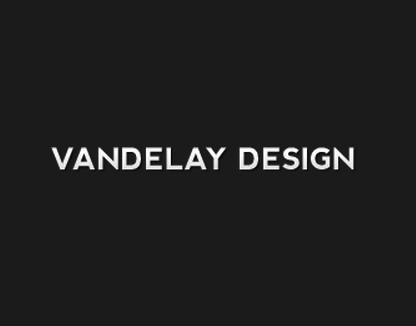 In 2007 I started Vandelay Design and things took off pretty quickly. The blog has really been the key to the success as it has attracted a large audience and opened up a lot of doors over the years. Mohit: I have been to your website before, your ad spaces are always full, what would you attribute this to? Steven: I've been very fortunate to have several advertisers that have had banners on the site for years. Elegant Themes, Wix, Clover, Ekklesia, Dream Template, and PSD2HTML - I think they have all been advertising for 3 years or more. Part of that is definitely pricing the ads well. I probably could charge a little more, but the ad turnover would be higher. I do, of course, have some ad turnover, but not very much. Getting a decent amount of search traffic helps with selling ads, as from what I have seen, these visitors are more likely to click on ads than your regular readers that visit the site a few times a week. Mohit: You have a string of impressed and satisfied customers, how do you manage it? Is it your fees, your way of working or something else? Steven: With our premium resources we try to provide the types of resources that will be truly helpful to our customers. There are a lot of places where you can buy good quality PSD files, icons, and these types of resources, so we (myself and the freelances who create many of the products) try to focus on products that people will actually use. We have a category of products that are career resources, and in my opinion they are some of the most useful products that we offer. Things like contract templates, marketing materials to help designers get more business, and info products like interviews with designers. Mohit: Unlike usual blogs having a page informing about the copyright policies, your website links to a comment policy page. Do you feel comment moderating is more important than copyright policing? Steven: I don't think it's more important, but I do spend a lot of time moderating comments. Over the years the number of spam comments has really increased and Akismet only catches some of them. Other comments aren't necessarily spam, but they don't add anything. Comments like "nice post" or "thanks for sharing". Mohit: You have 60,000 subscribers on feedburner in addition to more than 10,000 on facebook and near 50,000 on twitter. Garnering such social media attention is a herculean task for any website. I am sure many enthusiasts would like to know your secret. Steven: Well, first of all, I should point out that I don't put much weight in the FeedBurner count, I'm not sure how accurate their numbers are. 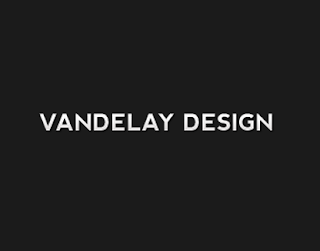 Regardless of the specific numbers, the focus with the Vandelay Design blog has always been to publish content that people like. I've made a lot of changes over the years to the types of content, some small and some more significant, to try and adjust according to what people are responding to. I was also fortunate to get started at a time when the design blogging industry was really just taking off, so there weren't as many other blogs out there at the time. With Twitter my approach is basically to share interesting and relevant links related to design/development. Of course, I share links to our own blog posts and to our new products, but I try to make sure that they are in the minority, and that I am sharing links to plenty of other relevant articles and sites so it doesn't seem like I'm only tweeting links to my own stuff. With Facebook, when I launched the page there was an offer to download some free resources if you liked the page and that had a really big impact on the number of likes. Mohit: During your tenure, you must have had some setbacks. How do you deal with depressing days? Steven: I've definitely had setbacks! The best way for me to deal with challenging and frustrating days is just to keep working and moving forward. Working online is not as easy as many people want it to be, and it's tempting to give up when things get difficult because there is no one else to keep you accountable, but in order to be successful you'll have to keep going when you face a challenge. Sometimes it's good to take a little bit of time away from your work to refresh yourself, but you just always have to get back to work and keep moving forward. Mohit: Having been in the Web Design atmosphere for so long, you must have seen the rise and fall of many webmasters and websites. What advice do you give to passionate amateur web designers? Steven: My advice is to keep working consistently. I've known a lot of people over the years who have had dreams of being successful online and being able to earn a living from their websites, but most of them have given up way too easily. The biggest difference from the people I know who have been successful and those who haven't is just persistence. Mohit: Last but not the least, Why Church and Photography websites only? Steven: When I used to do client work I would get the most inquiries from churches and photographers. So when I decided to create some free WordPress themes I wanted to start with churches and photographers so that I would be able to help some of those people who were already looking for websites. There is a chance I may design some other types of WordPress themes in the future, I just wanted to try the types of themes that I thought would be appreciated and used.